As Donald Trump and his team continue to insult journalists and disparage critical voices, more than 2,000 artists, writers, and readers gathered with PEN America on the steps of the New York Public Library in a collective stand to defend free expression, reject hatred, and uphold the truth. U.S. Poets Laureate Rita Dove and Robert Pinsky, playwright Eve Ensler, comic artist Art Spiegelman, and authors Andrew Solomon and Jacqueline Woodson were among the throng who braved the cold at Bryant Park to send a message to an incoming presidential administration that has laid bare its hostility toward the press and other free expression norms. 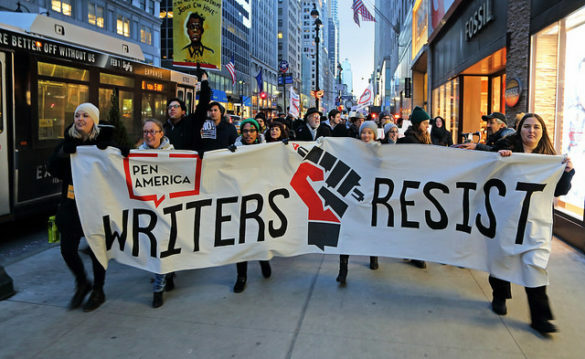 Sunday’s literary protest in New York City was the flagship event of a national rallying effort under the banner of WRITERS RESIST, organized by VIDA: Women in Literary Arts co-founder Erin Belieu. 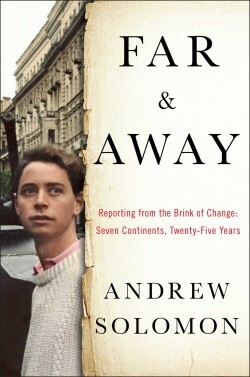 More than 90 WRITERS RESIST events took place simultaneously in 40 states across the U.S. and abroad. After the rally, Solomon and PEN America Executive Director Suzanne Nossel led protesters in a march fifteen blocks north to Trump Tower to deliver a pledge to defend free expression — signed by 150,000 individuals — to the President-elect’s team. Despite a heavy police presence that forced protesters to disperse, Nossel and Solomon were able to enter Trump Tower and deliver the petition to a staff member.